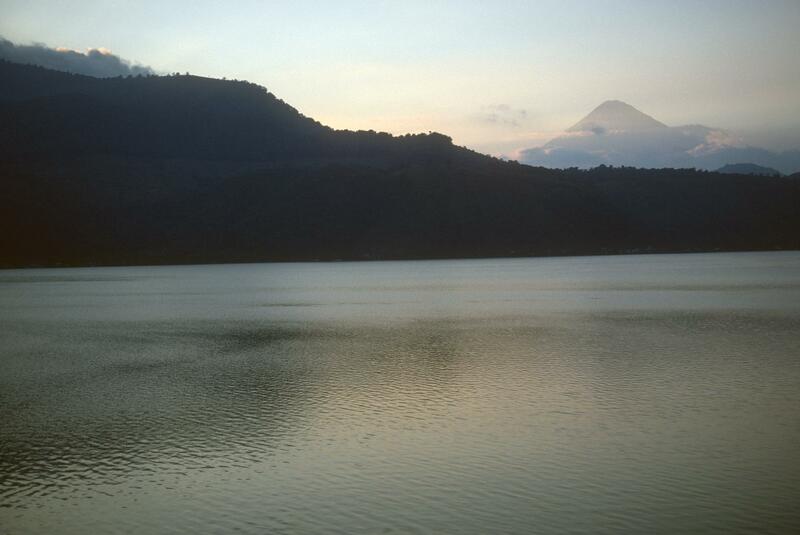 Sunset, Lago Amatitlán looking northwest. Lake and mountain. 1,000 m altitude.